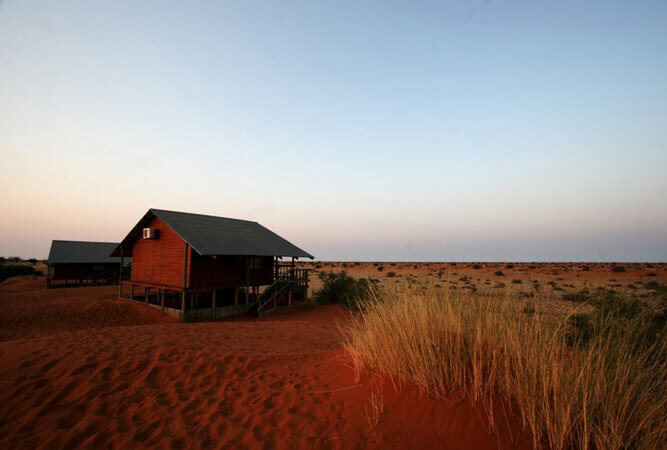 The Northern Cape can best be described in terms of its aridness and the crimson, sun-kissed sand dunes of the Kalahari. But this exceptionally beautiful, less visited, and vast part of South Africa that lies between the North Western Cape and Namibia works its hidden charms on those who visit. You cannot leave unaffected. The incredible flower season aside (for there is much written about the beauty of the succulent Karoo) the Northern Cape reveals a few gems, and manages to remain something of a ‘secret’ from the rest of the world. We’ll share our favourite top 10 places to visit and activities with you. The west coast of the Northern Cape, north of Lamberts Bay and south of Port Nolloth, is a stretch of coastline unofficially known as the gem shoreline or the diamond sea coast. 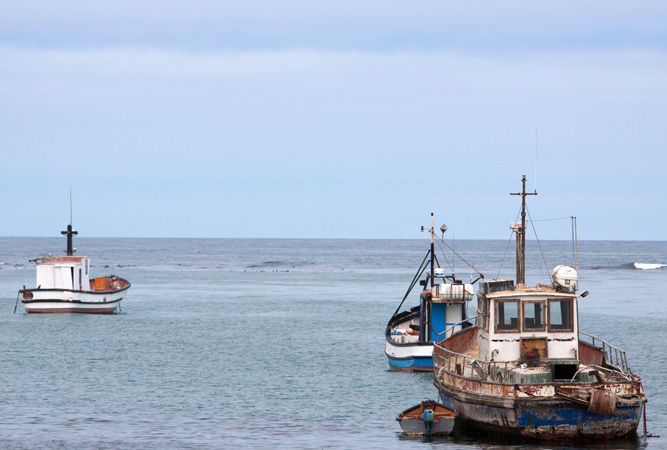 Fishing villages are few and far between – Hondeklipbaai and Port Nolloth are your best bets – but you’ll still find offshore diamond miners intent on gems that they dredge from the sea floor. The shore is windswept, desolate and an incredible space in which to get away from it all. 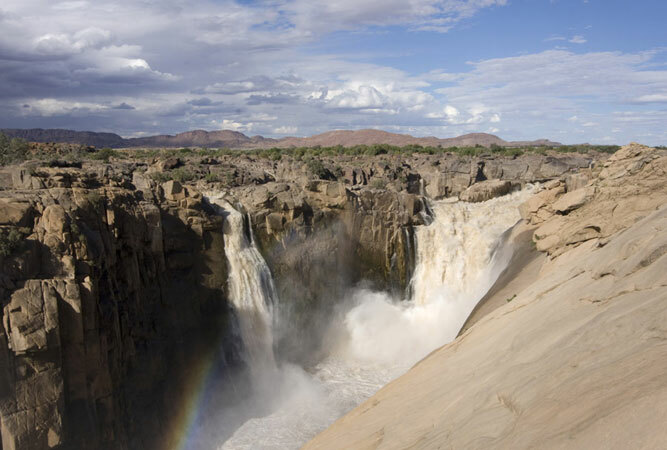 The Augrabies Falls is the thundering (when in full flood) passage of the Orange River as it plunges some 56 metres down to the granite swirl-hole at its foot, caused by the crashing waters over time. Called Ankoerebis, or place of big noises, by the Khoi people the falls are just one of the elements worth viewing within the 28 000 hectare reserve that gives sanctuary to the endangered black rhino, antelope, dassies, klipspringer, Verreaux’s black eagle and the African fish eagle. Aside from the falls, also visit Moon Rock (a massive dome shaped landmark from which there are superb views), Swart Rante (igneous, black hills that serve as a border with the more fertile side of the reserve), Oranjekom and Ararat (great viewpoints), and Echo Corner (gorgeous scenery en route). Sutherland may be a one-robot town in the middle of the Karoo, but it’s where people head when they’re intent on experiencing snow (it’s said to have the coldest winters in the country) and star-studded nights (there isn’t much else to pollute the sky with light). 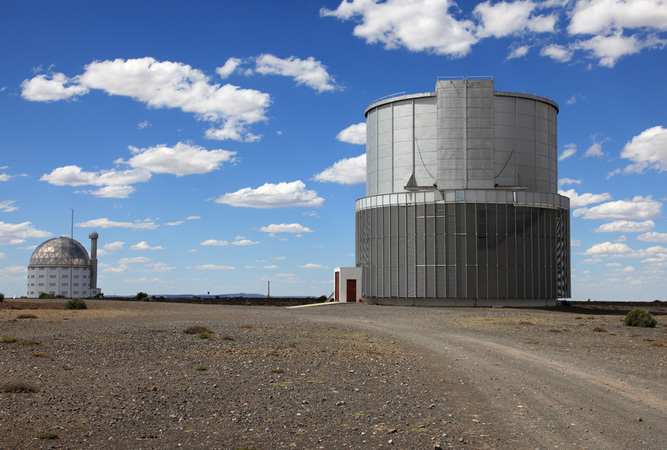 Which is why, just 18 kilometres outside of town up on a hill, you’ll find SALT or the Southern African Large Telescope – the largest single optical telescope in the southern hemisphere, and among the largest five in the world. There are guided tours of the observatory during the week from 10h00 to 14h30, and on Saturday from 11h30 to 14h30, as it’s not in use (I know, I didn’t think of that either) so whilst you might not see the SALT in action, there are smaller telescopes through which you can view the sky. Aside from SALT, the scenery leading to and from Sutherland is pretty spectacular – worth going just for that. 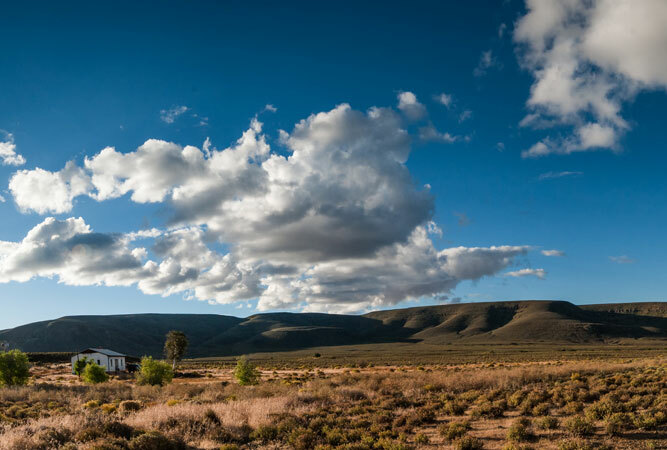 Tankwa Karoo lies on the edge of the Roggeveld Escarpment with the Cederberg in the west and the Klein Roggeveld Mountains to the south, four hours from Cape Town. You might want to reserve your time here for the cooler months, as it can get very warm, but the main attraction is the incredible sense of space and freedom in this park. It might only be 50 odd kilometres wide (from west to east) but it encapsulates some of the most incredible scenery and 70% of the succulents and flowers in the reserve are found nowhere else in the world! The roads though are pretty rough, so you’ll need a 4X4. Don’t come here to see the game. This is about getting away from it all in a place of natural harsh beauty that beats any number of reserves because of it. 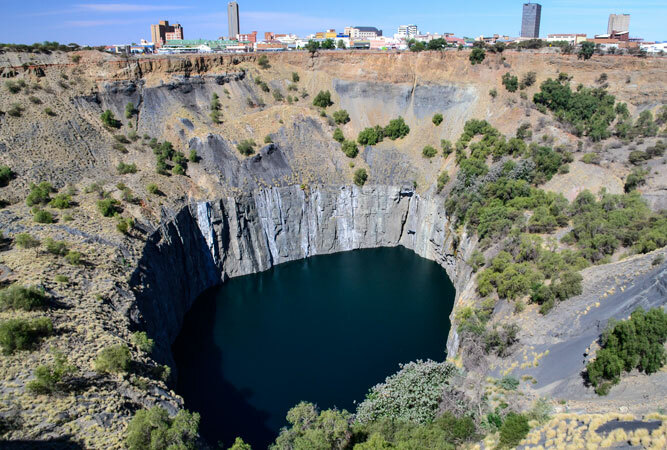 In the historic diamond mining town of Kimberley, where once there stood a flat-topped hill, there is now a huge basin known as the Big Hole. Whether or not you believe the claim made by Kimberley, which lies where the Vaal and Orange Rivers meet, that this huge hole with a surface of 17 hectares and is 463 metres wide, is the largest hand-dug hole in the world, it is still worth a visit simply to marvel at its size. It was created when thousands of diamond prospectors, who heard the word that diamonds were to be found in Kimberley, descended on the site with picks, shovels and sheer determination. There is a wonderful viewing platform over the hole, and the Old Town is also worth a stroll through. Riemvasmaak is a little community that lies just north of the Augrabies Falls. 75 000 hectares of mountain wilderness that was born out of volcanic activity millions of years ago has led to what some describe as a ‘lunar landscape’. 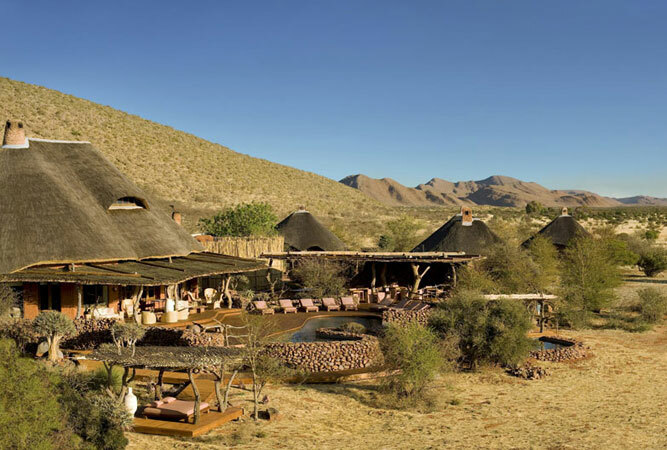 In amongst this arid and otherworldly beauty lie the hot springs of Riemvasmaak. Descendants of the Khoi people who live here prefer the Khoi name for Riemvasmaak – Konkaib, which means something like tying thongs together. It describes how an ancient Damara lowered himself into the spring because he suffered from rheumatism. The people whose land this rightfully is had it returned to them after the 1994 elections, when what had been used as a military base in the interim, was restored. The place is beautiful. The two pools of the hot springs that have been built for visitors are modelled on a conversation pit. Richmond is known as a booktown. Booktowns are small and rural villages that happen to have a fairly high concentration of book shops or sellers who specialise in second-hand and rare or outdated books. These bookshops are often combined with coffee shops, restaurants, bakeries or internet cafes, arts and crafts, antiques or even artisan activities like bookbinding or making paper. The idea was the ‘child’ of Richard Booth during the 60s in Hay-on-Wye in Wales, which today attracts a serious number of annual visitors. Richmond is the first booktown in South Africa. It lies just off the N1, roughly four hours’ south of Bloemfontein. The village can’t be described as appealing but it does have some beautiful architecture, the odd errant donkey cart, a certain dilapidated charm, and an NG church with what is reputed to be the highest pulpit in the country. When opened as a booktown, Richmond had three book shops. Today it has around eight. It also hosts the annual Richmond Book Festival in October. The last thing you expect, in the arid wilderness of the southern Kalahari and Namaqualand regions of the Northern Cape, is luscious vineyards. 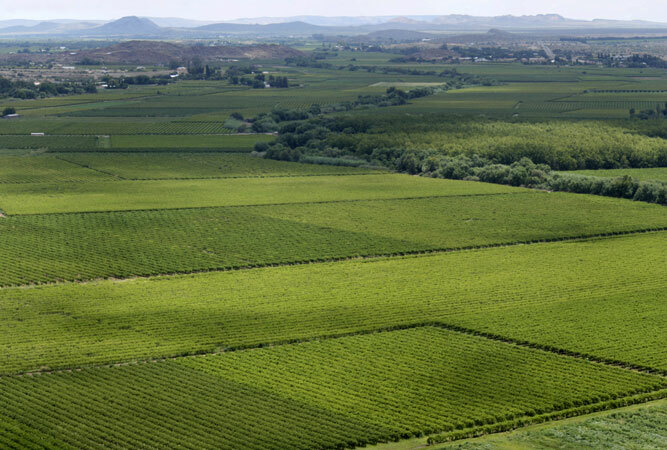 But strewn along the banks of the Orange River, in the midst of of desert blooms, are copious green vineyards that stretch for almost 300 kilometres. Some 800 farms contribute to the cellars of the five wineries in Upington, Kakamas, Keimoes, Grootdrink and Groblershoop who produce predominantly white wine, but increasingly red varieties as well. Sample the wines at each of the wineries, or at the Orange River Wine Cellars in Upington as part of a winery tour between January and March, Monday to Friday at 09h00, 11h00 and 15h00. Head down the river with a paddle and see the Richtersveld from a totally different perspective. There are a number of tour operators who offer this type of adventure in the Richtersveld National Parkthat can take as long as four days of adventure down stream. Camp under the stars with skies that stretch for miles, have your meals laid on for you, and enjoy being on the water. There is no greater escape. 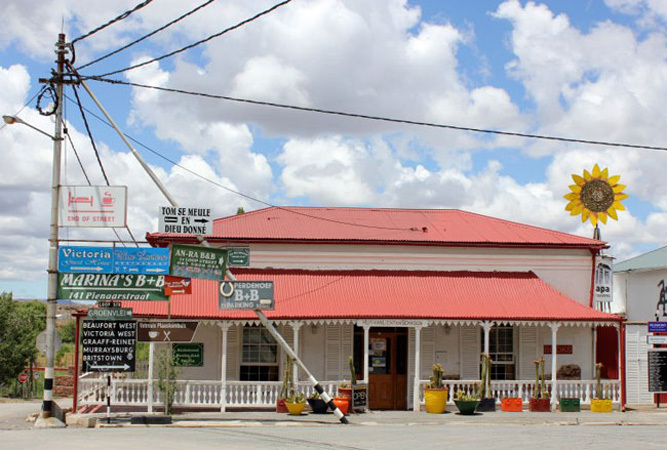 The little mining town definitely does exist, despite its obscurity, just off the N14 between Kuruman and Upington. It has two major claims to fame in an endeavour to attract visitors. One of them is the enormous open case iron ore mine, one of five of the largest such mines in the world. The other is an incredible forest of camel thorn trees, one of only two in the world, even if the other happens to lie just over the border in Namibia. But the Sishen Golf Course in Kathu has to be one of the country’s most beautiful. The 18 holes sit perched on the edge of the desert, within the camel thorn forest making it one of the top 20 golf courses in South Africa. Great write up on all 10 of these fun activities. I especially like beaches, as I love the ocean so this would definitely be on my bucket list. This would also go hand in hand with the warm springs, it looks so serene and relaxing. Additionally, who would not love to explore their wine. These would be my top picks out of your great reviews.